Deeply replenish dry, coloured hair with Pureology Hydrate Colour Care Conditioner; a radiance-renewing formula that promotes soft, silky and vibrant-looking locks from root to tip. The concentrated, ZeroSulfate® formula utilises an exclusive AntiFade Complex® to maximise colour retention for long-lasting, salon-worthy results. Moisturising and detangling, its Hydrating Micro-Emulsion Technology deeply hydrates, whilst a cocktail of Jojoba, Green Tea and Sage deliver intense conditioning. 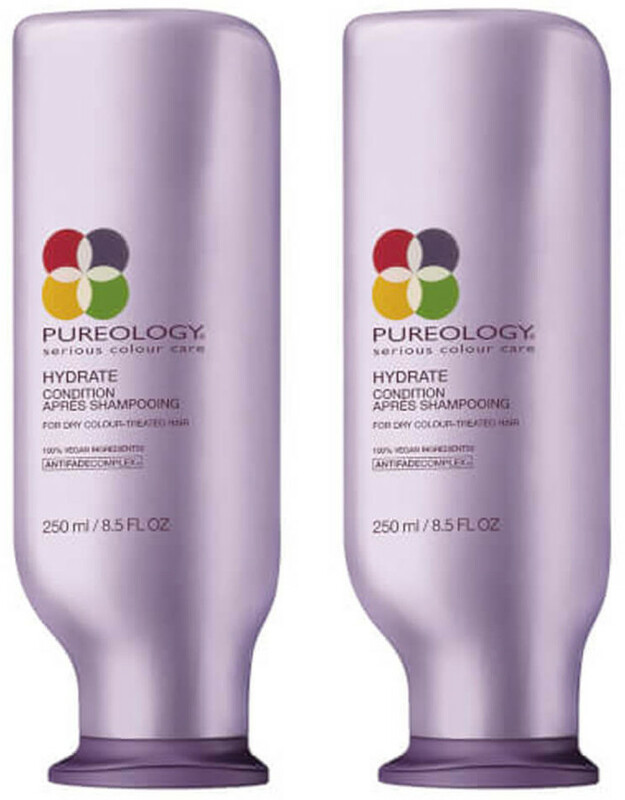 A blend of Soy, Oat and Wheat proteins help to prevent breakage. Vegan. Sulphate free. 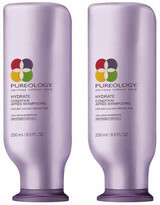 Includes Pureology Hydrate Colour Care Conditioner (2 x 250ml).